We’re back with a brand new episode! 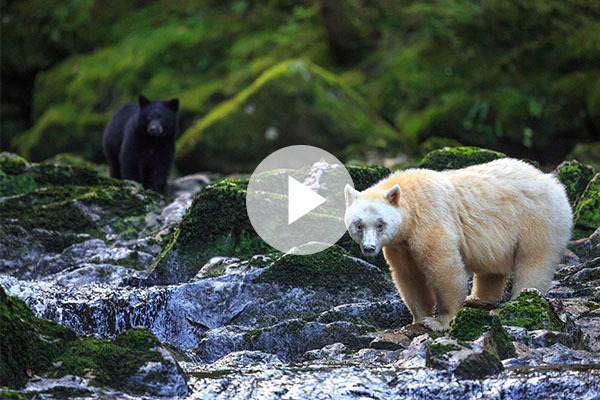 Join me for Episode 6 on the adventure of a lifetime to photograph spirit bears (white kermode bears) in the heart of the spectacular Great Bear Rainforest in British Columbia, Canada. Watch it below and let me know what you think in the Comments! Episode 6 takes you along with me into the heart of the Great Bear Rainforest in BC in search of spirit bears! Stay tuned next month for our seventh episode as we journey with John to the Northern Lights Wildlife Shelter and raise money to support their efforts releasing black and grizzly bear cubs back into the wild!